Boomarang Diner in Catoosa is known far and wide for the place to get good food fast, not fast food. This '50s themed diner serves up breakfast all day, as well as lunch and dinner favorites for affordable prices. For breakfast, Boomarang Diner serves up omelettes, pancakes and even unique items like the breakfast burger, which comes with egg, ham, cheese, mayonnaise, lettuce and tomato on a bun. Lunch and dinner items at Boomarang Diner in Catoosa include gourmet hamburgers, sandwiches, baskets and hearty dinner plates. 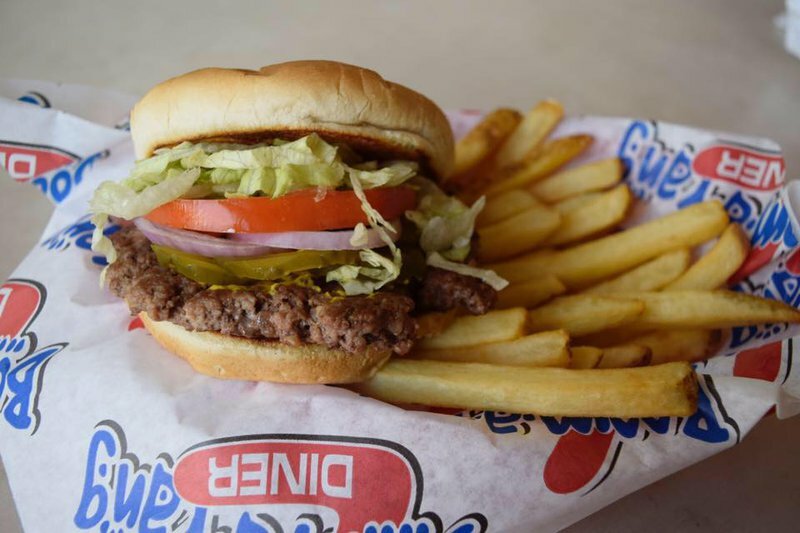 Try the juicy hickory cheddar burger with a side of fries or, if you're really hungry, order the popular hamburger steak, which comes with grilled onions, salad or slaw, mashed potatoes or fries and Texas toast. Round out your meal with a frosty root beer float or one of Boomarang Diner's homemade fried pies. Located of Rte 66 in Catoosa.